Empro, famous for its Triangular Brow Pencil which I'm pretty sure that everyone is aware of. It has won so many awards! It is my favourite eyebrow pencil too because drawing a pair of pretty brows with it is pretty easy with its triangular pencil tip. I wasn't aware of its other cosmetics until recently, my friend Isabel told me about it, and of course, they are award-winning products as well. 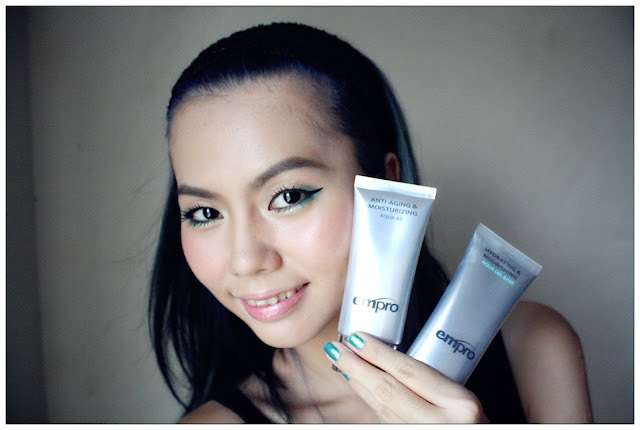 Let me introduce to you - Empro Aqua Gel Base and Empro BB Cream with SPF 30 PA++. 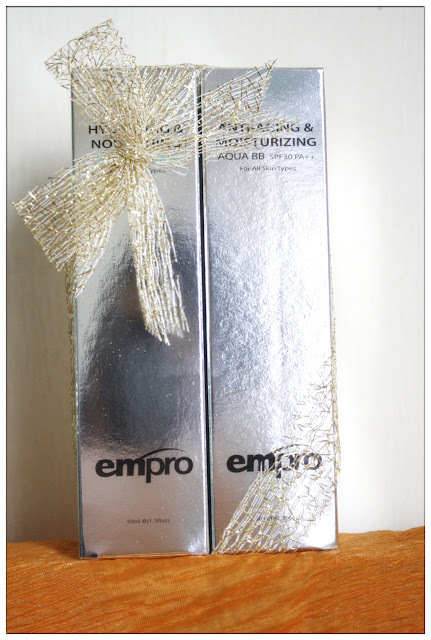 Award-winning Empro Gel Base and their anti-aging and moisturizing BB Cream. Like a lot of girls, I dislike putting on make-up base, to me I felt it wasn't a necessary step BUT it has pretty much damaged my skin without a proper protection before I put on layers and layers of make-up. 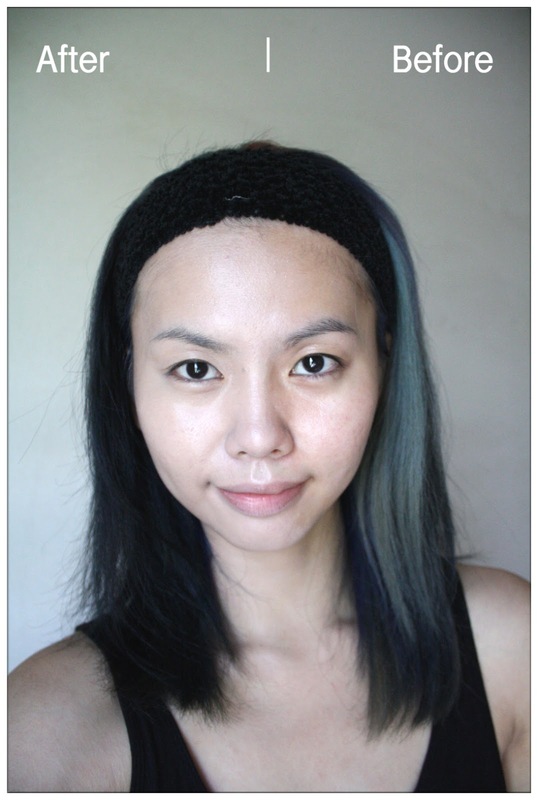 After making "applying make-up base" as my daily routine, I found that it is a MUST. Ever since that I am always in the search of good make-up base. Empro's Aqua Gel Base is what I love most for now! It is ultra-light, nourishing and made from natural ingredients including minerals like corals, pearls, diamond and amethysts. You can see the pearlescent glow from the gel itself and it can be easily-absorbed, leaving skin smooth, cooling and relaxing without clogging pores. I can feel my skin stay hydrated for a long time after using this aqua gel base. Prolonged use of this make-up base will also promotes skin regeneration. And yes, you get to see my naked face this time round with no whatsoever correction or photoshop. LOL. 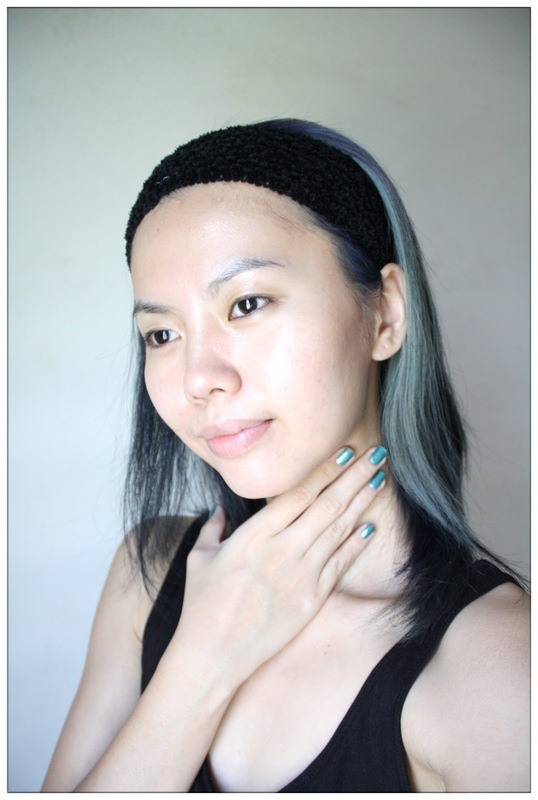 Don't forget to apply the Aqua Gel Base at neck area, it is important to protect the skin that area too to have a even looking skin. 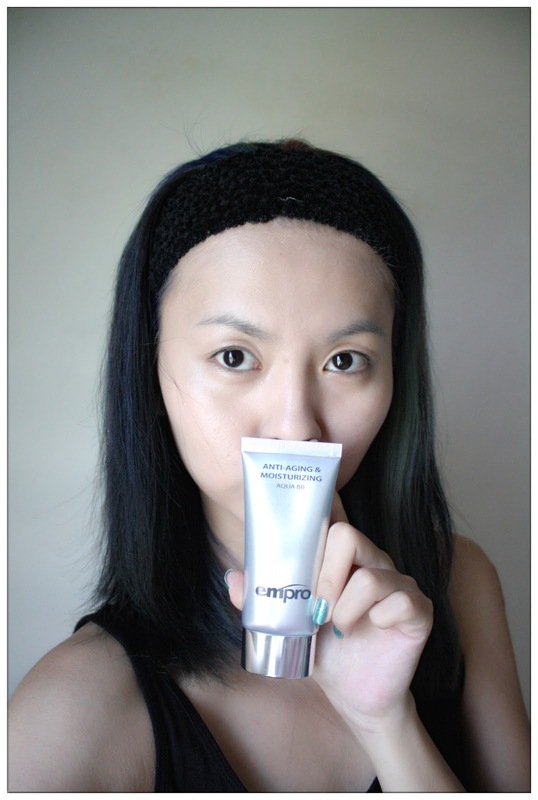 Just like what I mentioned above, it is cooling, ultra-light and it corrects dull and uneven skin colour instantly. It even gave my skin a radiant glow after I apply it on my face. I really love this Aqua Gel Base and I'm gonna observe my skin's condition after a period using it. 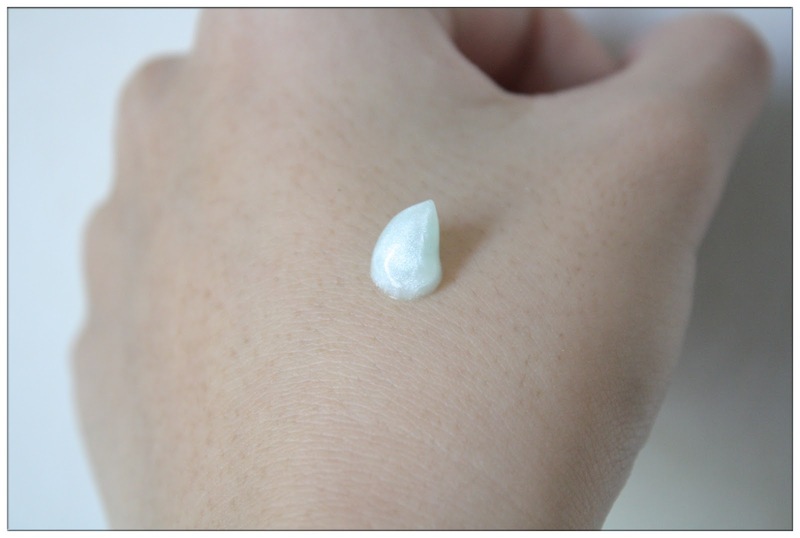 It is suitable for all skin type and definitely not greasy at all. Besides the Aqua Gel Base, there's this Empro BB Cream with SPF 30++ (new formulation) which is good too that it kinda saves me the money of buying concealer. Hahaha. 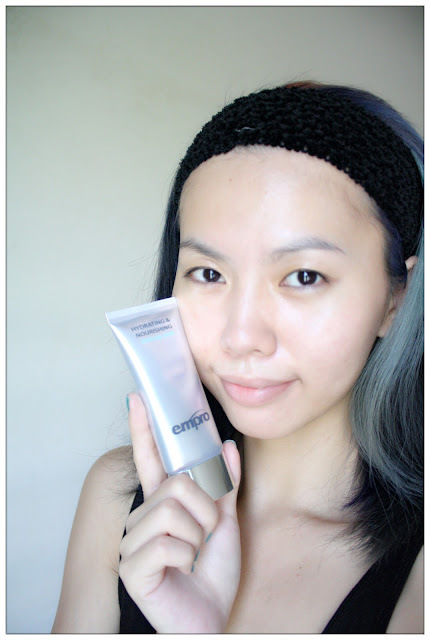 Seriously, I kid you not, nowadays when I need to apply foundation, Empro's BB Cream is my first choice because it is so light but provides good coverage! 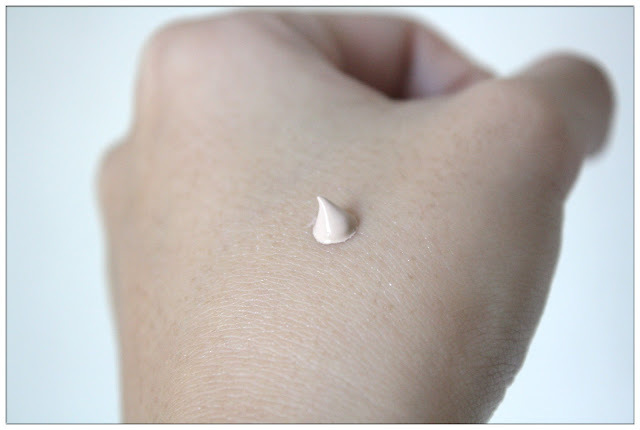 The colour and texture of Empro's BB Cream. It moisturizes and provides anti-aging function as well as tones up, brighten skin for natural, radiant look. It really reduces the visibility of fine lines and skin discolouration instantly after application, that concealer isn't really necessary after I apply the BB Cream on my skin. Works like magic isn't it? With SPF 30++, I don't even have to worry bout the harmful UV Rays anymore! I'm glad that these 2 wonderful products are introduced to me and they worked like magic on my skin! 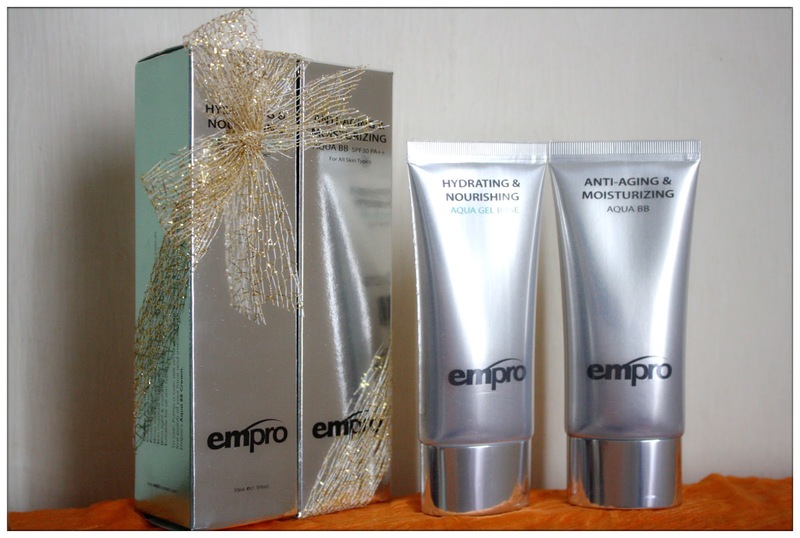 You can get these awesome products at Empro's counter located at Ikano Power Centre, MidValley Megamall, Sungei Wang and for readers from Ipoh, you can get these at Jusco Kinta City! RM10 discount for every purchase of our new products i.e. Desa Sri Hartamas, 50480 K.L., Malaysia. I'm all set to hit the street and have fun!